Distillerie NOROI has officially inaugurated its facilities in Saint-Hyacinthe’s Olivier-Chalifoux industrial park. The new food processing company settling in Saint-Hyacinthe Technopole will be the region’s first distillery. Thanks to a $2.5-M investment, NOROI is already producing several alcoholic beverages in its plant on Choquette Boulevard, including a dry gin, an orange liqueur, orange bitters and a ready-to-drink summer beverage. The NOROI team developed a cold-distillation still using the only technology of its kind in the world. The fruit of two years of research and development, the still is made entirely of glass, to prevent residue that might be absorbed into a more porous material from affecting taste. Thanks to a vacuum system, the boiling point of a blend of water, alcohol and botanicals can be reduced to under 0 degrees Celsius. This system was adapted by adding a coil immersed in liquid nitrogen that can reach -185 degrees Celsius, vital for low-temperature condensation. The NOROI distillery’s story began in the fall of 2015, when the company’s president and founder, Jonathan Robin, had the idea of producing the most innovative gin in the world. In March of 2016, he met with Matthew Pauley of Scotland, the inventor of the world’s first cold still, to assess the possibility of designing equipment using this technology here in Quebec. “The idea behind vacuum distillation is that you can distill the alcohol and botanicals under zero degrees Celsius. This preserves the heat-sensitive molecules and incomparable olfactory properties!” said Mr. Robin. The new 3,500-square foot plant employs five people. The beverages it produces are available to the public and are also, depending on the product, sold to hotels and restaurants. NOROI’s dry gin can be purchased in SAQ stores, with other products to follow this year. 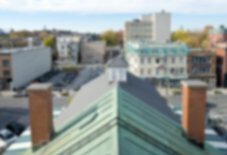 The Saint-Hyacinthe Technopole team supported the company during each step in the start-up process. 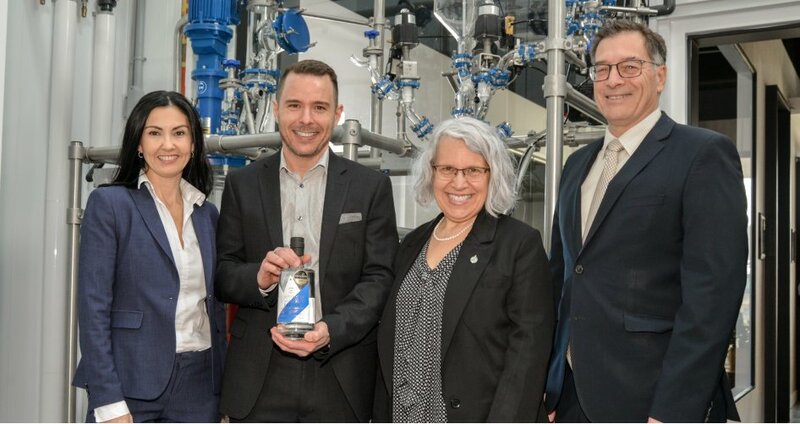 It also received support from the National Research Council Canada’s Industrial Research Assistance Program (IRAP) to validate its product and manufacturing processes. Before even starting its marketing campaign, Distillerie NOROI’s gin and orange liqueur won gold and double gold in their respective categories at the World Spirits Award 2019 on March 22nd. The entire team was incredibly proud and is already hard at work developing new products, including a sugar-free canned vodka-lemon-lime cooler with only 80 calories, which should be added to its line of products in early April. “Nothing can stop us at NOROI. The desire to revolutionize distilling is what fuels our team to make one-of-a-kind spirits,” concluded Mr. Robin.